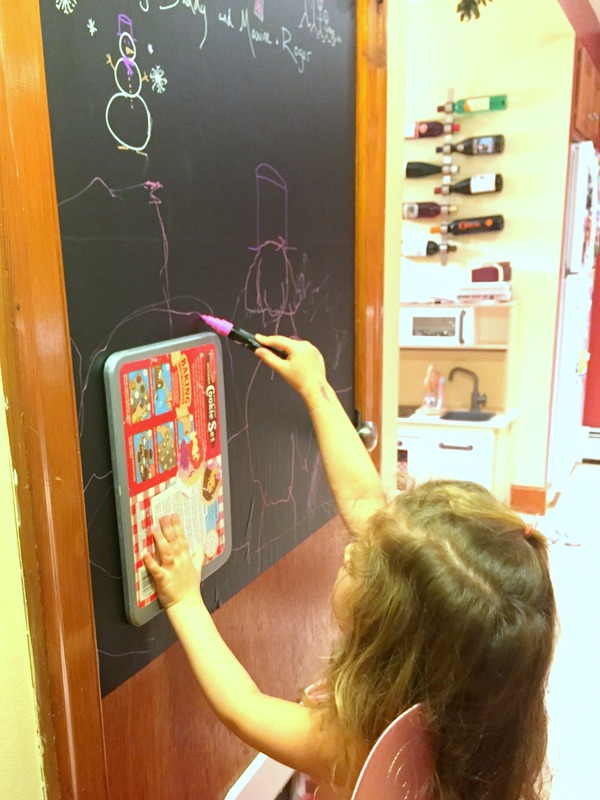 She and I are both obsessed with our new chalkboard pens and chalkboard strip on the basement door. 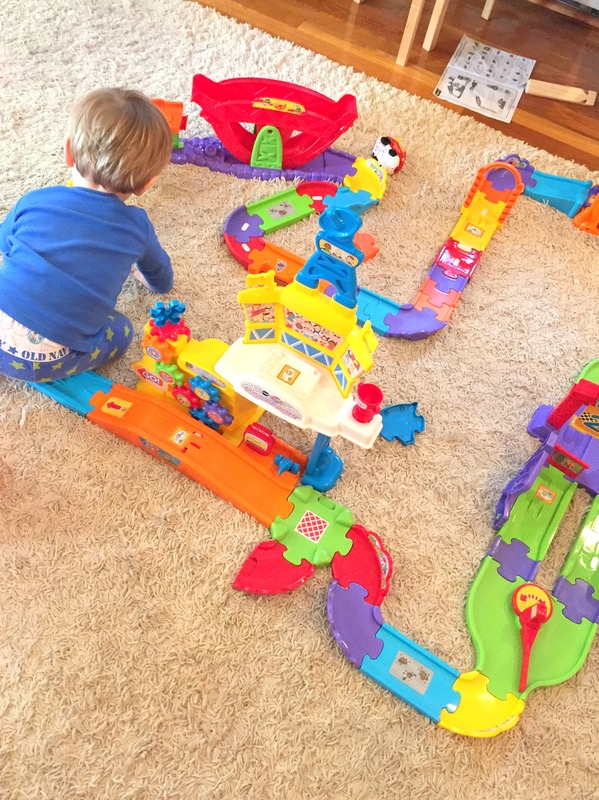 He is obsessed with his age appropriate race track (actually we all are!). Next ›Where Have You Been?